What is the difference between tuning and voicing? How does a technician voice a piano? Every piano has its own unique sound. One might be described as 'glassy,' another as 'warm'. One might have a 'full singing' tone, and yet another sounds 'thin.' Although the original design establishes the basic character of your piano's tone, your technician can modify it to better suit your taste or restore its original tone if it has deteriorated with age. 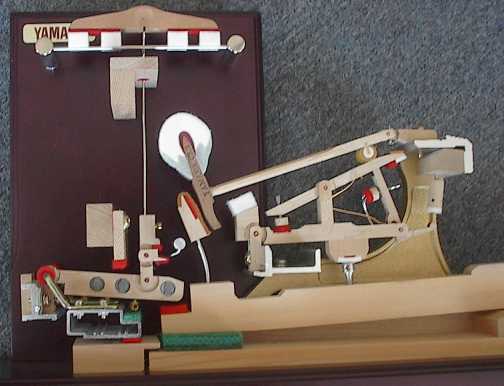 The process of modifying a piano's tone is called voicing. Tuning is the adjustment of the tension of all of your piano's 220 (or more) strings to the correct pitch or frequency. This ensures that notes played in a musical interval (octaves, chords, etc.) will sound in harmony. Voicing is the adjustment of a piano's tone or quality of sound. Tone can be changed without affecting the pitch. For example, turning the bass or treble knobs on your stereo changes the tone but does not alter the notes the musician recorded. A skilled piano technician can voice a piano to change its tonal personality from mellow to bright or robust to delicate. The degree of change possible depends upon the piano's design and condition. Tone varies, even among pianos of the same make and model. No matter what its size or cost, any good piano should provide a wide range of tone, from soft and sweet to loud and bright. The tone should be even from the lowest to the highest notes. Most of all, it should sound musical. Aging of the piano's strings and structure also can diminish its tone. ROOM ACOUSTICS -- Hard shiny surfaces such as windows and bare floors reflect high frequencies, making a piano sound bright and loud. High ceilings or large adjoining rooms add resonance. Rugs and upholstered furniture soften tone and add warmth. THE LID -- Both grands and verticals sound louder and brighter if the lid is opened. YOU -- Your ears are sensitive, and will perceive sound differently if you have spent all day in a quiet office or at a loud construction site. Your piano sounds different than when you purchased it. You don't like the sound even after it has been tuned. Tone varies radically from note to note. You cannot achieve a range of tone (mellow to bright) at different volumes. The piano has lost its ability to play softly. 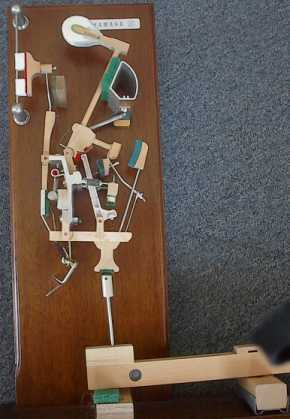 Before deciding if a new piano needs voicing, make sure it is well-tuned and well-regulated. Then, play a wide variety of music on it. Most voicing procedures are long-lasting, so give yourself some time to explore the sound of a new instrument before deciding to change it. How often voicing is needed depends upon the piano's usage and its intended audience. Pianos in concert halls and recording studios often receive minor refinement of the voicing before each performance. A home piano may need some initial voicing to customize it to the owner's taste, then once every one to five years to maintain its tone. Your piano and your musical needs are unique -- your own schedule for periodic voicing is a matter for you and your technician to decide. To find out how voicing might improve the tone of your piano, ask for a demonstration on one or two notes. Before you or your technician can fully evaluate then tone of your piano, it must be well-tuned. Tuning is the first step in improving the sound of any piano and may actually provide the tone you desire. If the tone is still not satisfactory. Your technician will inspect the action, hammers and strings. If these components are severely worn, major repairs may be required before an improved tone is possible. Moderately worn hammers can be re-shaped with sandpaper to remove string grooves and restore their original rounded shape. Next, the hammers are aligned to strike each string squarely. Action regulation should be checked or adjusted. This ensures an even, powerful response from each key. If tuning, hammer shaping and regulation are correct, the tone probably will be balanced but still may be too bright or mellow for your taste. If so, your technician might recommend voicing the hammers. For a tone that is too loud, too bright or seems to die out too quickly, softening the hammers felt often is recommended. This is usually done by inserting needles into specific areas of the hammer to increase flexibility. For a tone that is too weak or too mellow, hardening of the hammer felt may be necessary. This is usually done by filing away soft outer layers of hammer felt or by applying a chemical hardening solution. Once the overall tone is correct, individual notes are voiced to make the tone as even as possible from one end of the keyboard to the other. In some pianos certain notes still may sound different from their neighbors, no matter how skillfully the technician voiced the piano. This most commonly occurs about an octave below middle C, where the strings change from steel wires wrapped with copper to plain steel. Such irregularities are a result of design compromises, and usually cannot be corrected by voicing. One of your piano's most important assets is its tone. Properly voiced, your piano can offer you a rich palette of music expression, and inspire good practice habits in every member of your family. However, piano owners are not always aware that tone can be customized to their own tastes and room acoustics, and to correct for deterioration and age. If the only service your piano has received is tuning, the sound can likely be improved by voicing.